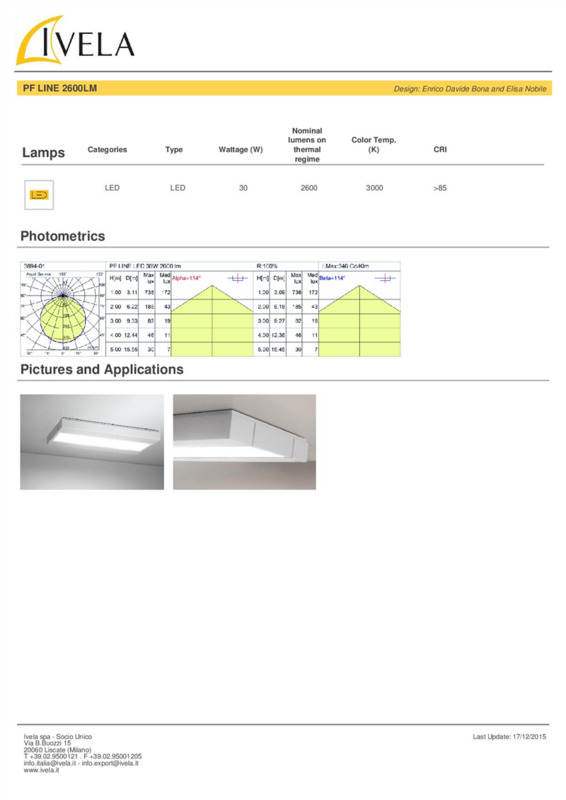 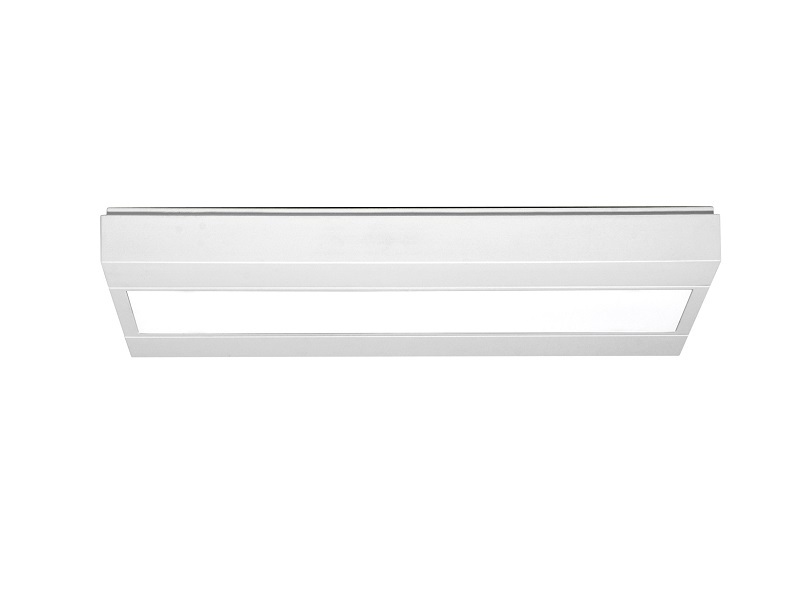 Ceiling lamp specially designed to be equipped with the new 1400 and 2600 lumen high efficiency COB LEDs. 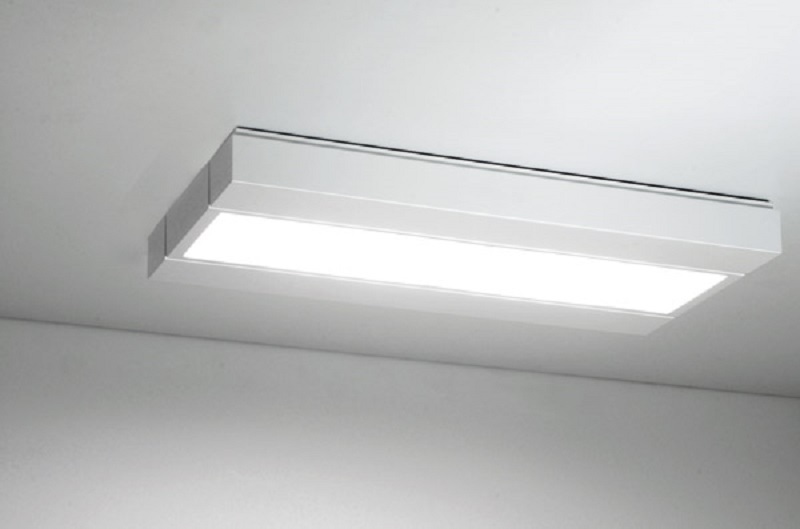 The back of the ceiling lamp has been studied to answer to the technical need of passively dissipating the heat generated by the luminous source. 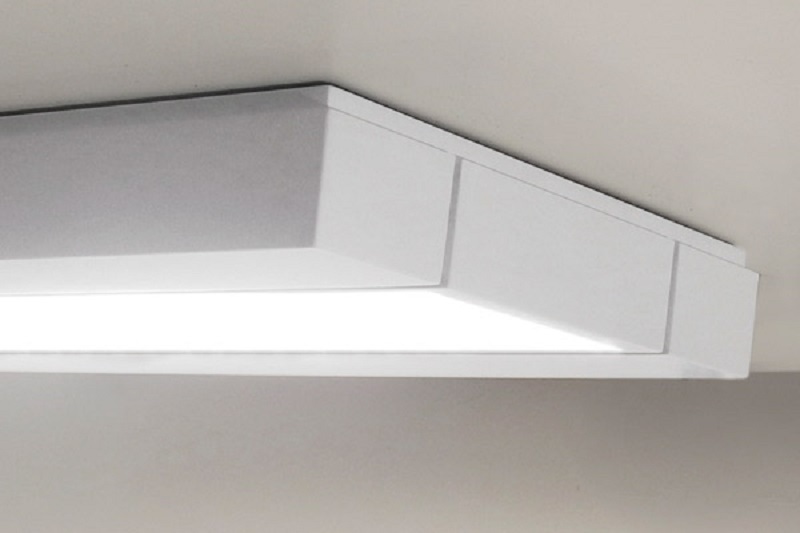 The shallow but structurally incisive profile of the PF LINE naturally fits every environment, above all in spaces with low heights, both in public spaces and in private residences. 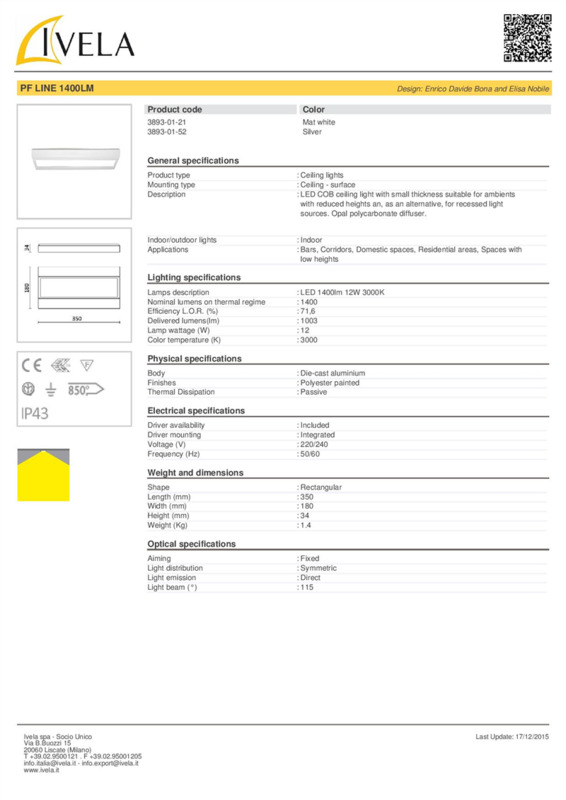 PF LINE is a registered design model.